Before we go on and give you the best audio interfaces available on the market, let's first discuss what an audio interface does? Well, an audio interface relates to computers; any hardware that can increase the sonic capabilities of a computer is known as an audio interface. An audio interface is also used to connect audio devices to a computer for audio production. An example of these devices is a microphone. What Interface Connections are Required? What is DAW Compatibility and which Form Factor may I Consider When Buying an Audio Interface? How does an Audio Interface Work? What is the On-Board Digital Signal Processing Software? Firewire, USB, Thunderbolt or PCIE? What's the Ideal Sample Rate and Bit Depth? What's the Difference Between a Sound Card and an Audio Interface? What are Line-level TRS Inputs and Outputs? An audio interface can also be an external sound card which is used for recording sound or music. When your computer already has a sound card then what's the need for another one? There are certain limitations of a built-in sound card. It can't support all types of recordings and this is why you may require an external sound card or an audio interface. There are a number of audio interfaces available on the market and in the list below, we'll have a look at the very best. On a budget? Try theses audio interfaces under $200. Comes equipped with a rugged metal unibody case for durability and aesthetic appeal. A great make by one of the best in the business. 12 in x 14 out Thunderbolt audio I/O box, so that you can plug in as many instruments as you want. This device comes with a 48v phantom power so that you can easily connect instruments, microphones, and line-level devices. It also has 4 analog inputs and the best mic preamps. Comes with a natural sounding Scarlett mic preamp with a lot of even gains. If you love hot guitar pickups this is the audio interface to go for because of its newly designed instrument input. Compatible with Windows and Mac, so that you can use it with any kind of operating system. It would be just plain wrong not to mention Focusrite while we're on the topic of audio interfaces and microphone preamps. This company had been in the business for over 25 years and has made a name for itself as one of the top manufacturers of this type of gear. The Focusrite Scarlett 2i2 USB Recording Audio Interface is another exemplary product by Focusrite that comes equipped with 2 in and 2 out USB recording interface. This is a complete audio interface to satisfy all your recording needs. + Comes equipped with a rugged metal unibody case for durability and aesthetic appeal. + A great make by one of the best in the business. 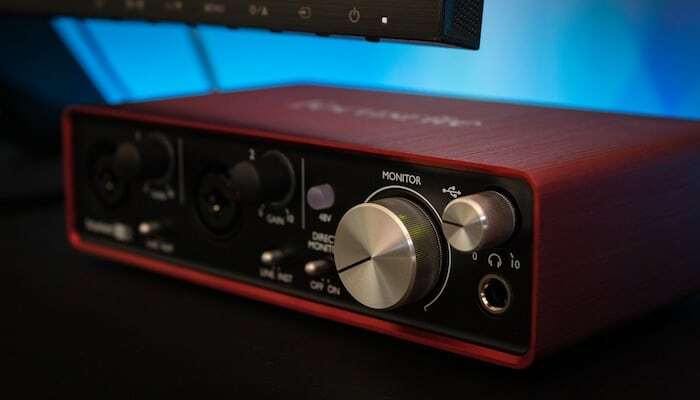 Why We Liked It - People may comment on the high price of the Focusrite Scarlett 2i2 USB Recording Audio Interface, but the fact of the matter is that this device one of the best audio interface devices you'll ever find. The Apogee ELEMENT 46 Thunderbolt Audio Interface has it all. 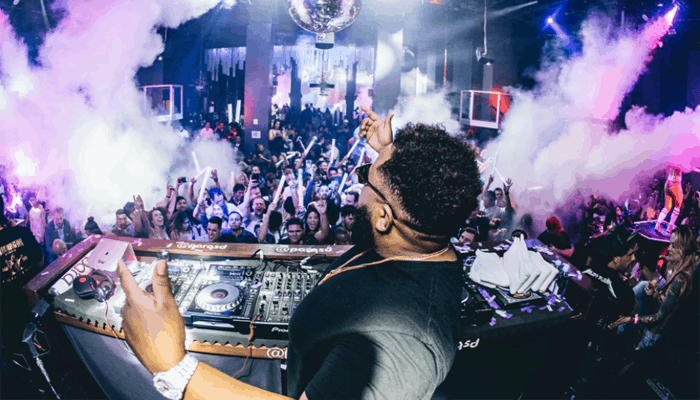 It allows you to mix different instruments together, mix instruments with vocals, and so much more, so you can achieve the clarity of sound you've always dreamed of. All around, this sound recording device is just perfect. + 12 in x 14 out Thunderbolt audio I/O box, so that you can plug in as many instruments as you want. + This device comes with a 48v phantom power so that you can easily connect instruments, microphones, and line-level devices. + It also has 4 analog inputs and the best mic preamps. Why We Liked It - If you're looking to get an audio interface for your Mac, the Apogee ELEMENT 46 Thunderbolt Audio Interface should be your first port of call. It can easily be said that this device is the best for Mac. If you're an audiophile and want perfect audio recordings, your audio interface becomes extremely important. 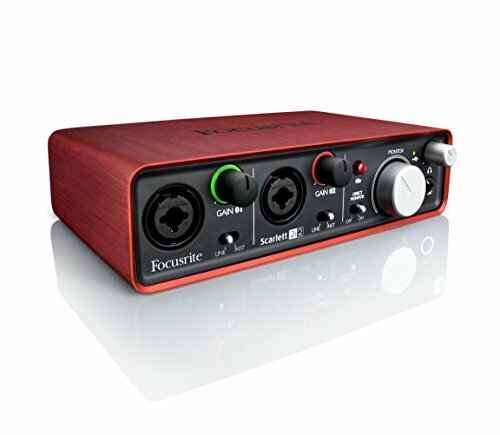 One of the devices that can best serve this purpose is the Focusrite Scarlett Solo USB Audio Interface with Pro Tools. + Comes with a natural sounding Scarlett mic preamp with a lot of even gains. + If you love hot guitar pickups this is the audio interface to go for because of its newly designed instrument input. 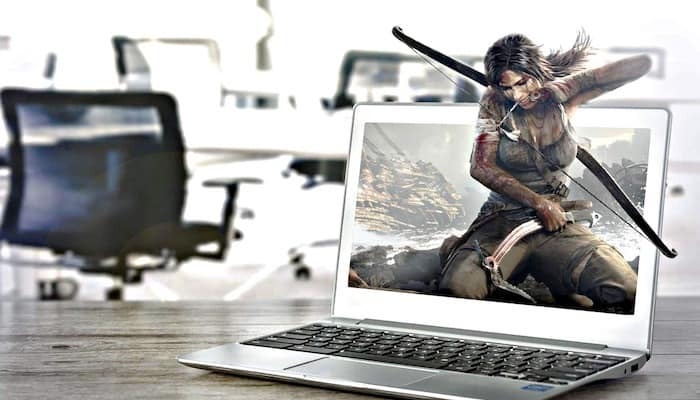 + Compatible with Windows and Mac, so that you can use it with any kind of operating system. Why We Liked It - When you compare the qualities that this interface has with its price tag, you'll quickly see this product is the best bang for your buck. With the Focusrite iTrack Solo Lightning & USB Compatible Audio Interface, you can rest assured that you're getting the very best. This audio interface is excellent for mixing sound for recording instruments and vocals in incredible detail. + Comes equipped with a Focusrite high-quality microphone input. 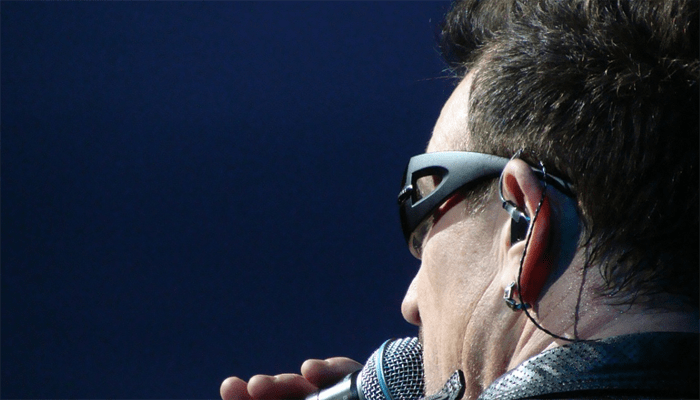 + Can record your vocals and instruments on your Lightning-compatible iPad. +Works with iPad, Mac, and Windows so that you aren't restricted to a particular operating system. + Aluminum unibody case for durability. Why We Liked It - The Focusrite iTrack Solo Lightning & USB Compatible Audio Interface offers a lot at a low price. The ESI Gigaport HD+ 24 Bit 8 Output Audio Interface is perfect for recording and mixing different instruments in part because it has so many inputs and outputs. It's small but durable and capable of producing great quality sound. + Heavy casing for increased durability. Why We Liked It - You get so much with the ESI Gigaport HD+ 24 Bit 8 Output Audio Interface at an astonishingly low price. What more could you ask for? Another top of the line external sound card by Focusrite is the Focusrite Saffire Pro 14 8 In / 6 Out FireWire Audio Interface which is equipped with all the qualities that you could want from an external sound card. + Equipped with two Focusrite mic preamps. + 8 in and 6 out FireWire audio interface. + This external sound card comes equipped with a Saffire-mix control. Why We Liked It - When your aim is to get the best recording quality time after time, the Focusrite Saffire Pro 14 8 In / 6 Out FireWire Audio Interface is the best option for you. Just consider an external sound card or an audio interface that is capable of fulfilling both home recording or recording on the move in mobile studios to the optimum level. 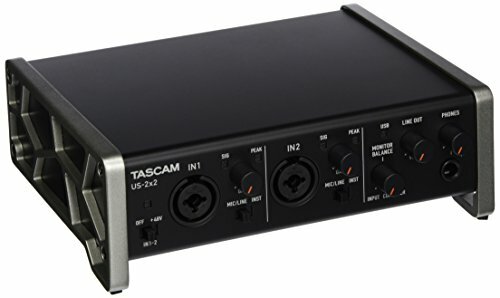 Yes, the TASCAM US-2x2 USB Audio Interface has the ability to do so with the utmost of ease and that is because of the design and technology which is used in making this audio interface. + XLR 1/4" combination input jacks to give you maximum sound quality. + This sound card has zero-latency. + Angled design and aluminum body make it easier for desktop visibility. Why We Liked It - The TASCAM US-2x2 USB Audio Interface is an all around great buy which offers you loads of versatility in your recordings. Focusrite! There's just no way that we can keep this company off our list for very long. This external sound card is another top of the line product of the company. + Comes with 18 in / 8 out USB Audi interface. + Plenty of even gains provided by the four natural-sounding Scarlett mic preamps. + Has a built-in 2GB of loop master samples. Why We Liked It - This is one of the best audio interface designed by one of the best in the business. What you look for when going for an external sound card or an audio interface is defined in detail by this very audio interface i.e. 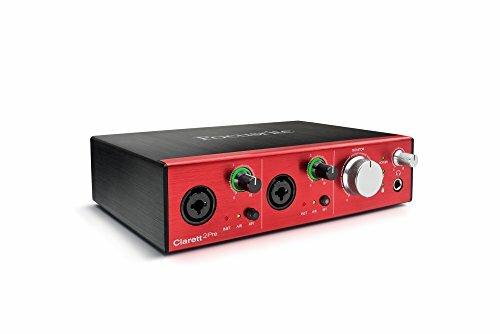 the Focusrite Clarett 2Pre for Recording Mac & PC. It has the capability of satisfying all your recording needs and as far as audio interfaces are concerned it is simply one of the very best products that you will ever find in the market. + Two Clarett Mic pres with lots of gains. + Compatible with IOS and Windows. Why We Liked It - All in all, the Focusrite Clarett 2Pre for Recording Mac & PC is a complete champ. The Focusrite Saffire Pro 40 Professional 20 In/20 Out Firewire Audio Interface is another example of the brilliance of this company. It's a top of the line card. + Eight Focusrite high-quality preamps for a great sounding interface. + Has two separate headphone buses widening the options you have. + 20 input and 20 outputs. Why We Liked It - It might be a bit tough to configure for some people, but when you compare the pros of the Focusrite Saffire Pro 40 Professional 20 In/20 Out Firewire Audio Interface with the cons you can easily conclude that it'sone of the best audio interfaces around. As a music director or producer, you want to input and output sounds from your computer. 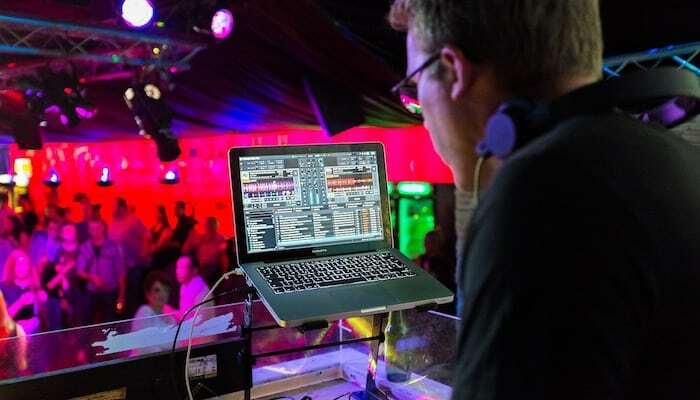 Music sessions include various types of instruments that should be connected to the computer in order to edit them. You’ll need a device to convert analog audio signals into digital ones and vice-versa. In order to hook up your drum machines, microphones, guitars, etc. you’ll need an audio interface. An audio interface converts the analog signals to digital signals for your computer and converts digital signals back to analog for monitors/speakers. An audio interface takes the signals from your instruments or microphones and digitizes them before sending them to your computer. You can relate it to an external sound card that is equipped with extra features. So now let’s jump in and find out how an audio interface works. An audio interface has ports on the front and the back. On the front, there are microphone inputs, instrument inputs, and a headphone output. On the back, there are two monitoring outputs (speaker outputs), an interface output and an instrument input. In a recording interface, there will be usually three types of input ports, a microphone (XLR cable to Preamplifier), an instrument (TS/TR cable bypassing preamp), and a midi (digital information about how an instrument is played). Basically, an XLR input will be powered by a preamplifier while the TRS/Hi-Z power will bypass it. The modern audio interface includes gain knobs for controlling your microphone volume. In many interfaces, you’ll find a +48v phantom power button which is a small electrical charge that will run up to your microphone through an XLR cable. In high-end or mid-range microphones you will probably find an external power supply. If it isn't available then you can use phantom power without worrying about over-powering or damaging your microphone. You’ll find a MIDI input. This input is equipped with the keyboards that can output MIDI data so that you can replace your standard sounds with computer-stored or external bank sounds. MIDI inputs are not usually common in low-budget audio interfaces. Instrument inputs serve the same purpose, you can connect the various instruments in order to convert their analog signals to digital signals. Some audio interfaces don’t include one, so if you need to connect an instrument in the near future, you can use the Direct Injection box to take the input and output through an XLR cable. There are three types of output ports, a headphone (for personal monitoring), a monitor (room monitoring through speakers), and an interface cable (to communicate with the computer). 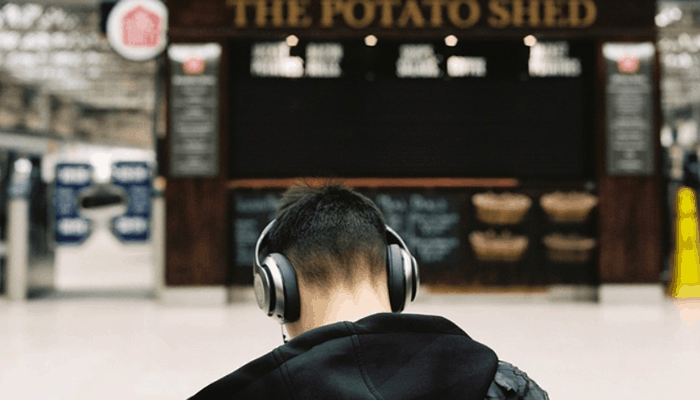 Low-budget audio interfaces will feature only one headphone output with a dedicated control button for volume, while an expensive one could feature more than one. It also includes a dedicated headphone amplifier that offers a wide range of outputs. Monitor output connects to your speakers so you can be assisted with critical listening. Most producers use XLR cables for outputting sound to the monitors but some prefer TRS cables. There's a wide range of cables and connectors to choose from. Finally, there's an interface output that uses interface cables to take digital signals to your computer. The cables are commonly USB or firewire, but newer options like ethernet cables are available. Thunderbolt cables are used for Mac computers. USB and firewire provide fast speeds so you can choose between the two according to your computer input availability. Likewise, there are adapters to switch between the two options. The interface port or cable produces output to your computer but it also brings back audio to the speakers/monitors. The main components used for this port/cable are known as ADC (Analogue to Digital Converter) and DAC (Digital to Analogue converter). These change the audio signals from electrical to binary code so that your computer can understand it. It can also change it back from binary to electrical so that it can be inputted to the monitors. While recording your sound or using an audio interface professionally, delay of the command and execution of it can be a serious matter. When you say something in the mic, your sound is picked by the capsule, then sent through the mic cable to the audio interface. 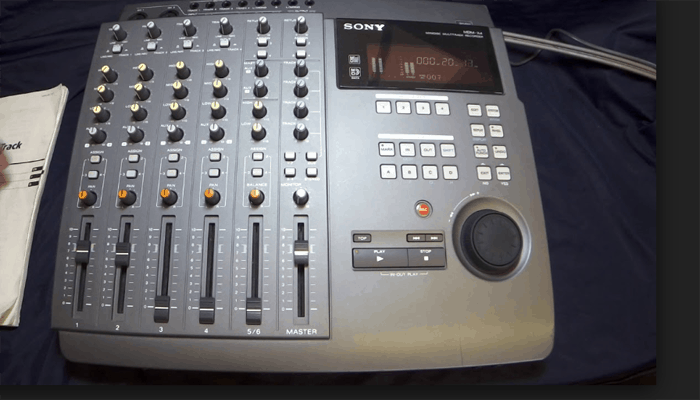 It's digitized and sent to a computer, then the software receives it processes it and sends it back out, digital audio is traveled back to the audio interface and it' finally converted to analog for sending it out to headphones. This process takes time and results in latency. This delay can distract you. So while buying your new audio interface, you must check for the direct monitoring feature. Direct monitoring enables you to hear the analog audio that is being plugged directly into the interface rather than hearing after it's processed by the computer. This eliminates the latency factor and gives you real-time sound. This feature is mostly found on audio interfaces with USB 1.0 as the slower speed makes them less prone to latency. Not all companies call it “Direct Monitoring” but you can easily identify this feature. An audio interface with a knob has “mix” on one and “computer” on another side then it means that it supports direct monitoring. The Scarlett 2i2 by Focusrite is an audio interface which features two award-winning Focusrite preamps. On the front panel, there's a Neutrik combination input for connecting line and instrument level signals along with the microphones. This makes it the best for recording the digital stage piano along with the electric or acoustic guitar. It's also equipped with unique halo indicators which let you know about the signal strength. If it outputs red then it means your signal is experiencing interference and you should reduce the gain. When a healthy signal is achieved, it will turn to green. It also has a large monitor dial for providing tactile control for volume control. 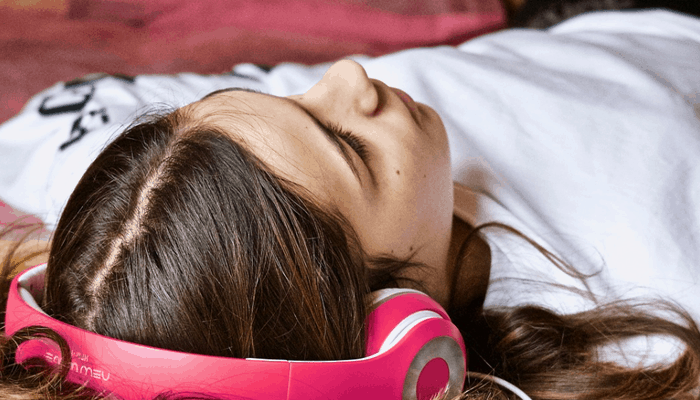 A high-quality amplifier provides clean yet loud sound to your headphones. This audio interface features a direct monitoring function. If you turn this on you’ll hear what you’re recording through your monitors without the signals first having to go through a computer then returning back to headphones/speakers. This cuts off the latency factor while recording. Every note and subtle detail are captured with great clarity, thanks to the 24-bit resolution sample rates of up to 96KHZ which is a very high digital conversion rate. With the package, you’ll get an authorized code for Ableton Live Lite as well as the Focusrite Scarlett Plug-in Suite and the Red 2 & Red 3 Plugin Suite upon registration of the interface. Scarlett plug-in suites provide you with EQ, Compression, Gate and Reverb-essential tools so that you can add more to your mix. This audio interface box includes two high-quality award-winning Focusrite mic pres. These preamps are served same quality as that of the popular flagships, Saffire PRO 40 and Liquid Saffire 56. The anodized aluminum unibody chassis ensures that your audio interface can deal with the harsh environment. Scarlett 2i2 is very light and portable making it easy to carry and transport. You don’t need to add an additional power supply as it is equipped with bus power. The Scarlett 2i2 has a firewire interface so that speed is not compromised. A phantom power option is also included for microphones without an external power supply. Direct monitoring feature, software, tough material, two high-quality mic preamps are the factors that have convinced us to list this product as our top pick. Investing a lot of money into any type of gear can be a tough decision. Don’t worry! We got you covered. 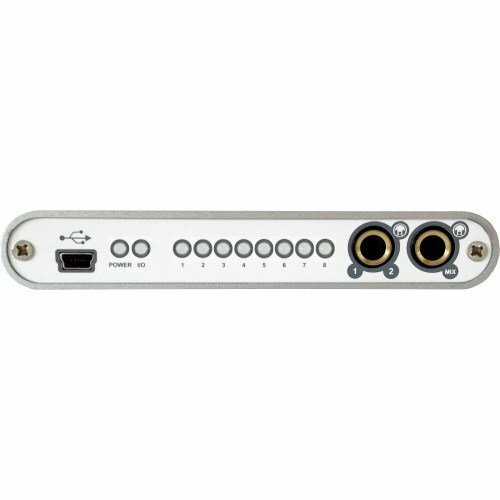 The Element 46 Thunderbolt Audio Interface by Apogee is specially designed for Mac as they have a Thunderbolt interface port. With elite hardware features and stunning software advancements, this audio interface delivers the ultimate recording experience. This audio interface is equipped with a high-quality analog to digital converter for capturing every detail into your computer. It minimizes unwanted sounds with maximized signal quality. Your tracks will deliver amazing sound and mixing is made much easier. The Element 46 features Apogee’s advanced stepped gain architecture mic preamps for capturing the slightest details of drums, dynamic vocals or strings. This analog circuit is engineered to dynamically optimize across a gain range of 0-75dB for delivering low distortion and amazing bandwidth. It's equipped with a high-quality digital to analog converter so you can interact more with the definition. The clarity promises a helping hand for precise adjustments when you are mixing the track. On the input side, it has 4 Combi mic/line/instrument inputs with mic preamps and selectable 48v phantom power. On the output, this audio interface features 2 balanced L/R XLR monitor outputs & 2 independent ¼’ stereo headphone output. Features like Logic Pro X integration, the Apogee hardware control remote, and elementary control make this a premium choice. Do you want to invest less and get the best? In that case, buy the Focusrite Scarlett Solo 2nd gen. This audio interface is ideal for guitarists and songwriters. No matter how you play, the newly designed instrument can handle it all. Unwanted distortion lets you concentrate where it matters the most. It has the latest in mic preamps so you can accurately set the levels. Instrument input has also been completely re-engineered to easily handle hot guitar pickups. Converting your analog signals into digital signals then back again is the main purpose of an audio interface. TheSolo 2nd gen has a beautiful, crispier, clearer sound thanks to the world-class leading conversion and samples rates of up to 192 kHz/24 bit. Latency or delay is another factor that shatters your workflow. This audio interface completely revolutionizes the concept thanks to Scarlett’s unrivaled round-trip latency which is as low as 2.74ms. With low latency, the latest in mic preamps, and sample rates of up to 192 kHz/24 bit, the Scarlett Solo 2nd gen by Focusrite delivers so much beyond its price range. An audio interface consists of many input and output connections. For instance, a budget-efficient audio box will have fewer ports and a budget savvy one will include loads of Ins/Outs. Before buying you need to know about every single type of ports and their functions. There are about 3 main inputs and outputs we'll focus on. The main purpose of an audio interface is to convert the analog signal to digital to transfer it to the computer. Interface connectors are used to connect the audio box to the computer. There are around 4 most common cable/port used. Universal Serial Bus is commonly used on budget audio interfaces as it is offered by every single computer. It has the slowest data transfer rate. Firewire is used in high-end audio boxes and it offers a significantly faster speed compared to USB ports. Thunderbolt connectors are usually found in the audio boxes/interfaces designed for Mac as they have an input thunderbolt port. They offer way faster data transferring speeds compared to both USB and Firewire. PCIE ports are usually found in professional audio boxes because it offers additional processing power and fast data transfer. Be sure to check your computer port when choosing an interface connection through which adapters can be used to convert the signals. Be sure to check out the correct input channels as the real number of inputs is referred to mic preamp count, not the input count. For instance, if you want to use your microphone as is without a microphone preamp, then you have less input for other instruments as those inputs are dedicated for microphone preamps. There are around 5 types of input ports. This input allows you to directly connect your microphone to the audio interface. This input allows the addition of an outboard mic preamp to amplify the microphone signals and to be used as a mic channel. This input requires the addition of both a mic preamp and a digital converter with “optical out” to be used as a mic branch. This input allows you to connect your guitar or drum set. This input allows you to connect keyboard or midi controllers. Now be sure to check these inputs while buying your new audio interface and don’t confuse the type of input count with the total input count. On a simple audio interface, I/O counts can range between 2-4 and on a professional audio box it can be above 14. The number basically depends upon your work type and the number of tracks you want to record at once. Solo musicians will need around 2-4 I/O counts as they’ll have a limited number of instruments to connect. A songwriting team may need up to 4-8 I/O count as working in a team means that every person is dedicated to one instrument which requires more I/O ports. Engineers who record bands can need a minimum of 16 ports as a whole band can include many instruments. DAW standards for Digital Audio Workstation. It's a software for editing, recording, and producing the signals that are digitized by the audio interface. Most DAW’s work with every audio interface but there are exceptions. Be sure to check your DAW compatibility on the product’s website. Form factor simply refers to the physical size and shape interface of electrical products. In audio interfaces, there are two types of Form Factors. They are compact and can easily sit on a computer desk. They are large as they include many I/O ports. They can be mounted in a standard rack size unit. If you are a beginner then you should consider a desktop interface as it is small and can be easily set up. If you're more old school, you should definitely go for the rack-mounted interfaces as they have more I/O ports and a greater signal routing. An audio interface has two converts, Analog to Digital (ADC) and Digital to Analog Converter (DAC). The first converts Analog signals to digital signals while the second does the opposite. Your instruments (guitars, drum set), microphones, keyboard etc. produce analog signals. When you connect them to the audio interface, the signals are converted by an Analog to Digital Converter so that they can be routed towards the computer. When the editing process is finished and you need to listen to the result, the interface cables send the digital signals back to the audio interface. The audio interface converts them to analog signals by a Digital to Analog Converter. The analog signals are routed to the monitors (speakers/headphones) so you can listen to the outcome. Digital Signal Processing software or DSP, is included on audio interfaces that have 8 outputs or more. 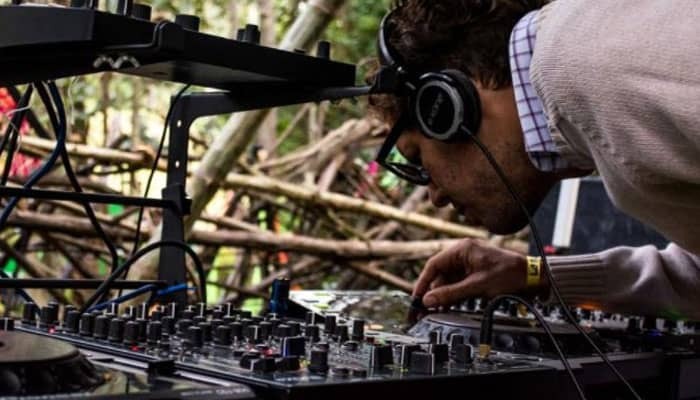 This software helps you to edit and create mixes within your monitoring outputs. For instance, if you're recording with your team and you guitarist asks you to turn up the pitch on his headphones, you can easily do so within the software without affecting the original sound you are recording. This software is also included in budget-efficient audio interfaces. The software is copied to the CD which is inside the packaging. You have to install it to your computer because it also has software drivers for the interface output. USB and Firewire provide 800 MB/s and all the way up to 1.25 GB/s. If you have loads of work then you either a USB and Firewire will do. Both connections are easily available on the computer. If you're part of a team of up to 20-25 people, you might consider Thunderbolt, it delivers the lightning fast speed of 5 GB/s. However, the ports are mostly found on Macs. PCIE option is more complicated as it requires you to install a special sound card which isn’t common for home or professional studio use. In most cases, USB or Firewire will do the job, but if you want some extra speed then you might consider a thunderbolt port. Just make sure that your audio interface supports up to 24 bits and 48 kHz if you really want to compete with the current music industry standards. Many audio interfaces offer lower bit rates like 16 bits but the quality is substandard. The main similarity between a sound card and an audio interface is that both act as the computer’s sound card. A good audio interface allows you to connect a variety of analog and digital signals. It also provides you with better digital clock and superior analog circuitry for improved sound quality. You will experience whole new audio results compared to the basic sound card that comes with your computer. Microphones output a very weak signal; they need to be amplified by a preamp when connected to a mic input. Line-level signals are very strong and don’t need a boost. So a microphone needs a different type of input connector for pairing with line-level. Line-level input and outputs usually have 1/4" TRS/TS jacks. These are better at rejecting noise and reducing ground hum. You can connect your speakers, keyboard, external effects, compressors, limiters and anything else that has a stereo line-level output. MIDI supported instruments can be handled/played directly by your computer through DAW. They allow you to send information into and out of a computer. People use MIDI feature to completely take over their instrument command in order to produce something new. MIDI ports are equipped with keyboards, guitars, etc.